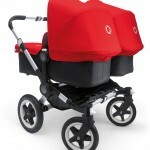 The Bugaboo Donkey is designed to be able to transport one or two children of different ages or twins easily. It provides good storage baskets for shopping, changing bags etc. 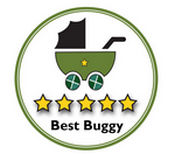 The Bugaboo Donkey converts from Mono mode to Duo mode in three clicks. The Donkey can be easily converted to two wheel mode to pull across sand. Smart and Stylish. Lovely coloured tailored fabrics. Just 74cms wide in duo mode. 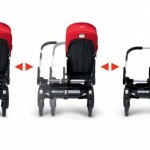 Flexible travel system options include seats, carrycots and car seat adaptors. Children can face parents or outwards independently in 21 configurations. Huge handlebar extension will suit parents of all heights. One handed seat recline. 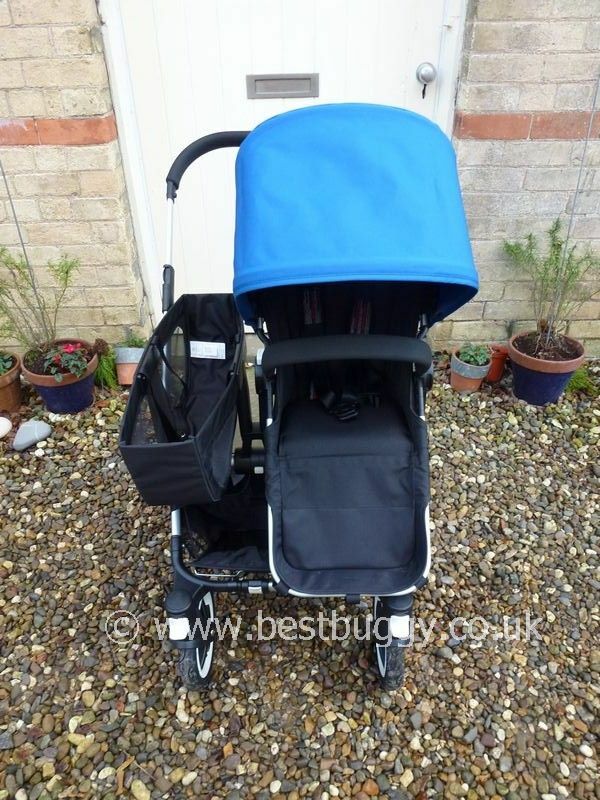 One handed seat & carrycot removal, fold and extensions. 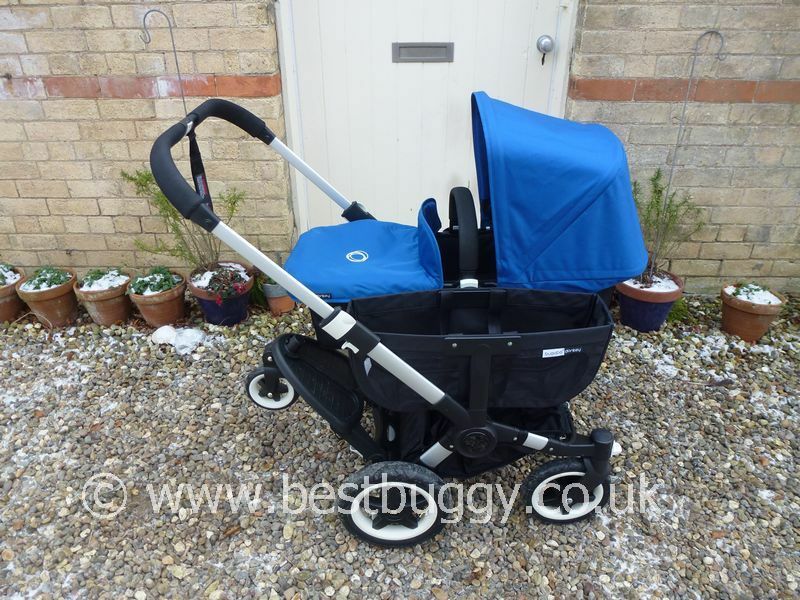 74cms wide with seats or carrycots on. Lots of storage space. 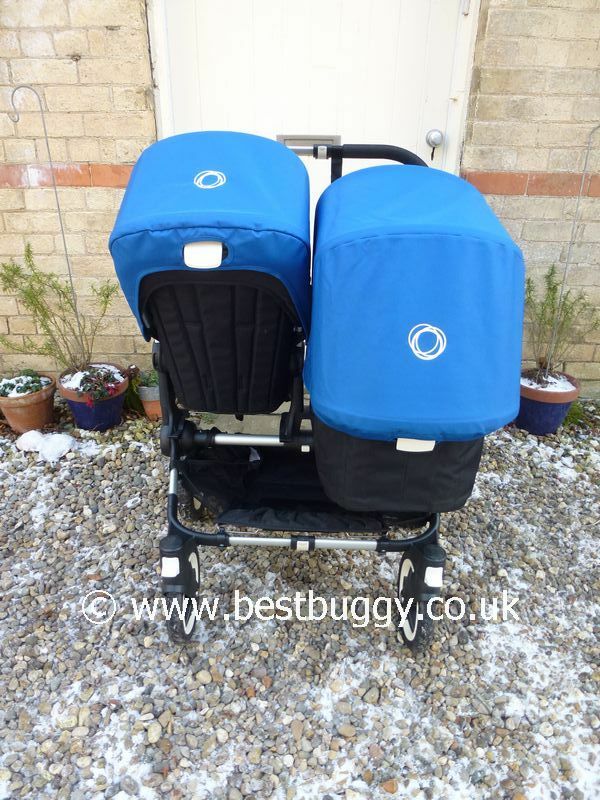 Folds with seats / carrycots on and freestands. 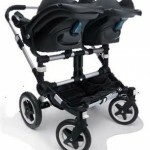 Large bulky fold (smaller if put in 2 wheel mono mode) but there is a new smaller folding chassis coming out in September 2012. Difficult to convert from Mono to Duo - takes strength and involves bending down / leaning over. No raincover for either small or large storage baskets. 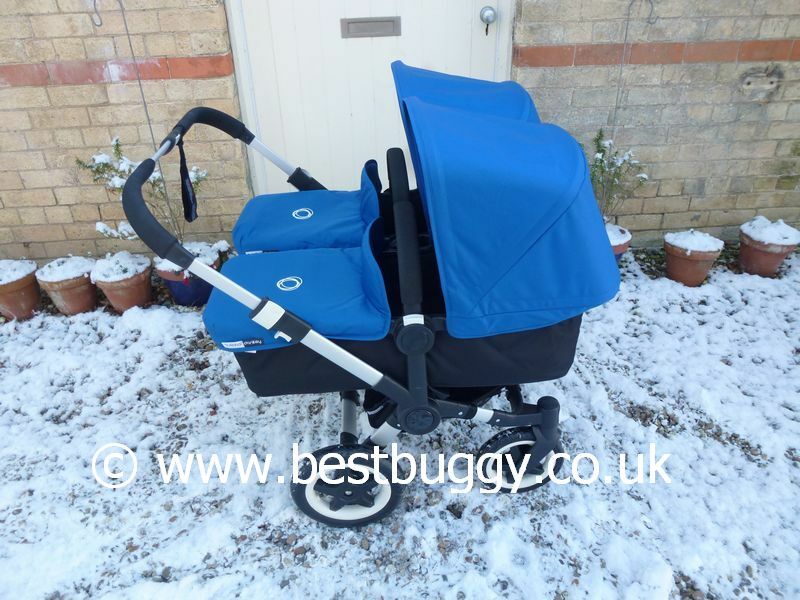 Each car seat adds approx 6cms to the side of the frame so this makes the Donkey a large 86cms wide with two car seats on, or 80cms with one car seat one which means that the Donkey will then not fit through a standard doorway. 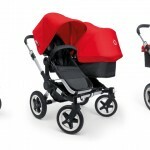 Maxi Cosi Cabriofix or Pebble; Cybex. 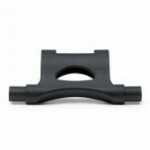 There is a single or a double adaptor. Large Air Tyres. 10" front swivel lockable wheels. 12" rear wheels. Base colours are black and sand. Tailored Colours are black, red, pink, sand, off white and royal blue. Chassis colours are silver or black. There are additional limited edition or special edition fabrics available each year. 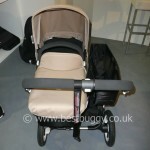 Carrycot fabric is included to convert the seat into the carrycot. 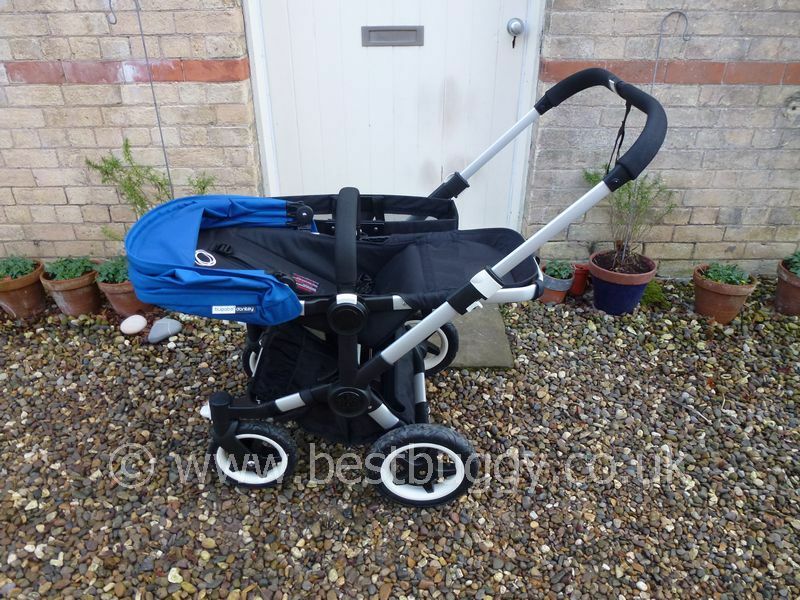 Bugaboo Donkey accessories include: car seat adapters, cup holder, parasol, seat liner, footmuff, breezy sun canopy, wheeled board, organiser, and Bugaboo bag. 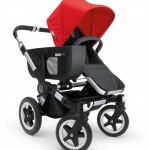 Expanding underseat basket with storage pockets holds up to 28 litres or maximum weight 10kgs. 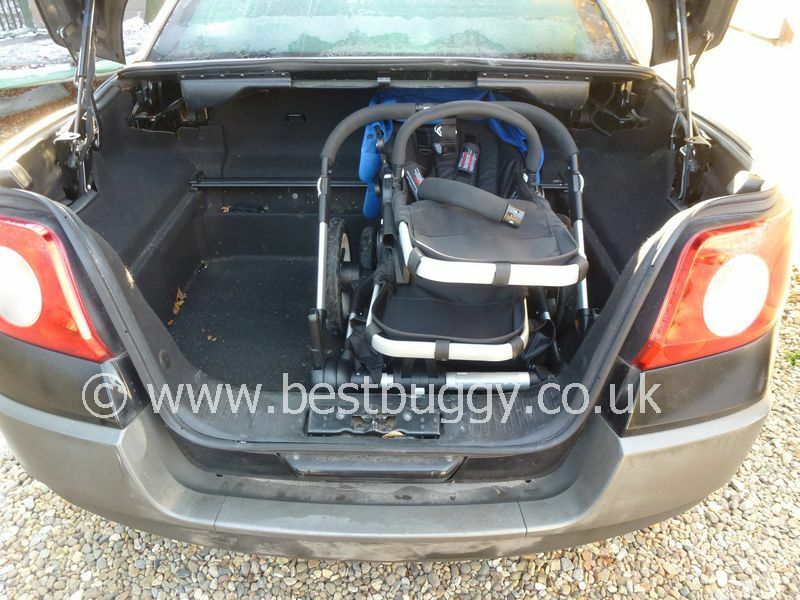 Removable side luggage basket holds up to 18-22 litres or maximum weight 5kgs. 3 parent facing seating positions. 2 outward facing seating positions. 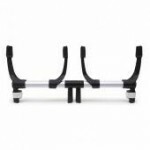 Easily changes into 2 wheel mode for pulling along a beach or rough ground. 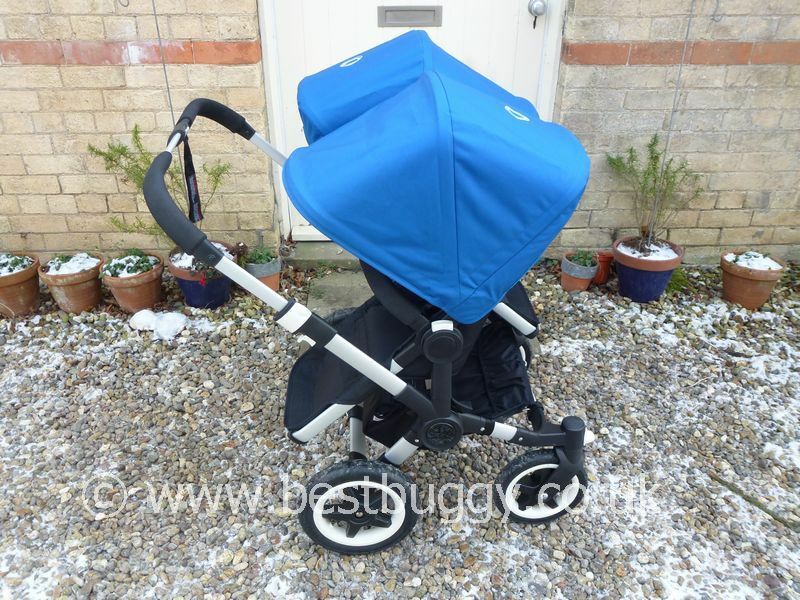 Bugaboo Donkey can be folded with one or two seats or carrycots on. 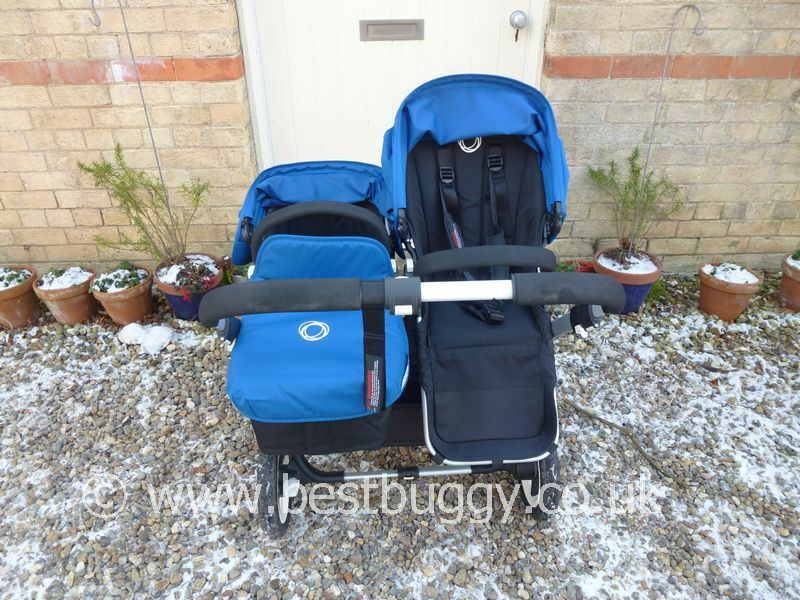 RRP is £899.00 in Mono mode; £1099.00 in Duo mode (siblings with one carrycot) and for Twin Mode (ie two carrycots) it is £1219.00. For siblings you need to buy an additional sun hood £70. The V2 has a new flatter fold chassis. 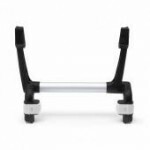 However the flatter fold is achieved by removing the rear wheels. Otherwise the fold is the same size if the wheels are left on. 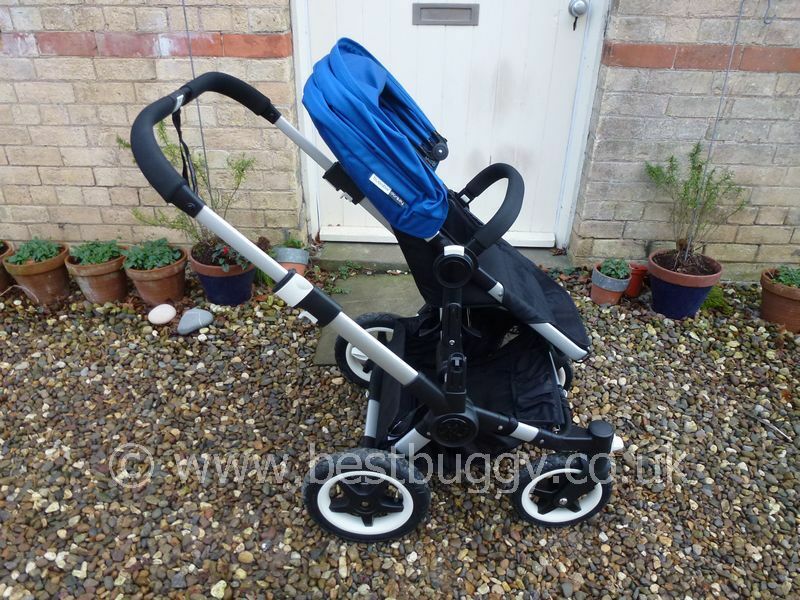 In mono (single) configuration the Bugaboo Donkey is 60 cm wide, which is the same width as the Bugaboo Cameleon. 3 wired hood which gives the child more head room. 2014 saw the introduction of extending sun canopies. 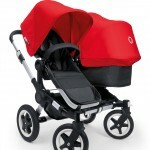 Bugaboo Donkey New Compact Fold is Coming!!! Bugaboo Donkey Riding at the Beach! 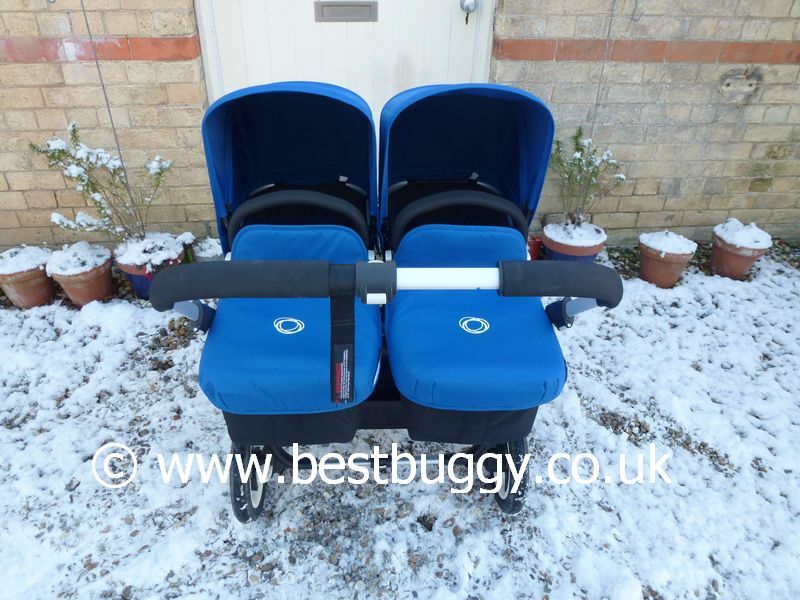 Bugaboo Donkey Twin in the Snow!